Can I Claim a Tax Deduction for Contributions by a Rollover to a Traditional IRA? A financial planner can help you allocate your retirement savings smartly. 2. How Much Time Is Needed to Convert an IRA to a Roth IRA? Rollover IRAs are for individuals who want to move their retirement savings out of a fund without incurring early-withdrawal penalties or paying income taxes. 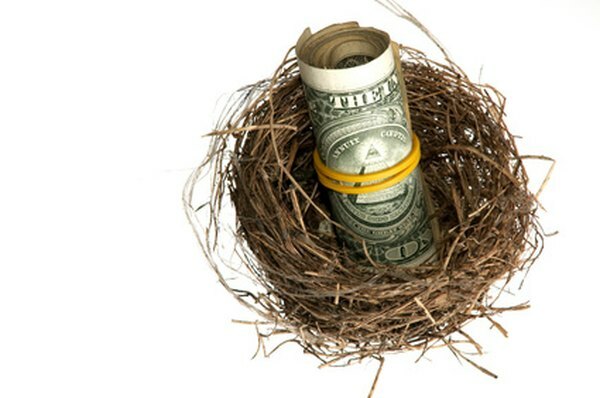 The IRS allows the money to be rolled into a traditional IRA from other IRAs, from an employer’s qualified retirement program and from 457b and 403b plans. Rollovers are not tax deductible. Traditional IRA rollovers are helpful for combining different retirement accounts into one for better money management. Early-retirement income or lump sums paid out after an employee leaves his job can also be rolled into an IRA to prevent income taxes until the individual needs to use the money. The retirement fund that makes the rollover distribution also reports the transaction on IRS Form 1099-R. The account holder has to declare the same information in his tax return, using Form 1040, 1040A or 1040NR. But as the IRS also says in its discussion of rollovers, “To the extent the distribution is rolled over into a traditional IRA, it is not includible in your income.” Thus, although the rollover is not eligible for a tax deduction, it is not taxable, either. Every year, the IRS publishes the maximum amount that may be contributed to an IRA. In 2012, for example, the limit was $5,000, with individuals 50 years of age and older being allowed to deposit $6,000. A person’s taxable income that is less than the preset limits is used as the maximum contribution he may make to an IRA for the year. Rollover balances do not count toward these annual limits. A 45-year-old could have deposited $5,000 into his IRA in 2012, for example, in addition to making a $2,000 rollover contribution. Retirement plans usually make it mandatory that individuals begin to take annual withdrawals from their account around the age of 70 1/2. Account holders who fail to withdraw the required minimum face paying penalties. This type of transaction is known as required minimum distributions. The cash withdrawn cannot be transferred into a traditional rollover IRA and, depending on the retirement plan the money comes from, the required minimum distribution may also be taxed. How Old Do You Have to Be Before You Can Withdraw Money From a Roth IRA?